A gorgeous table, great food, amazing wine, and interesting conversation, a perfect dinner party. This week I had the pleasure of attending one in NYC. 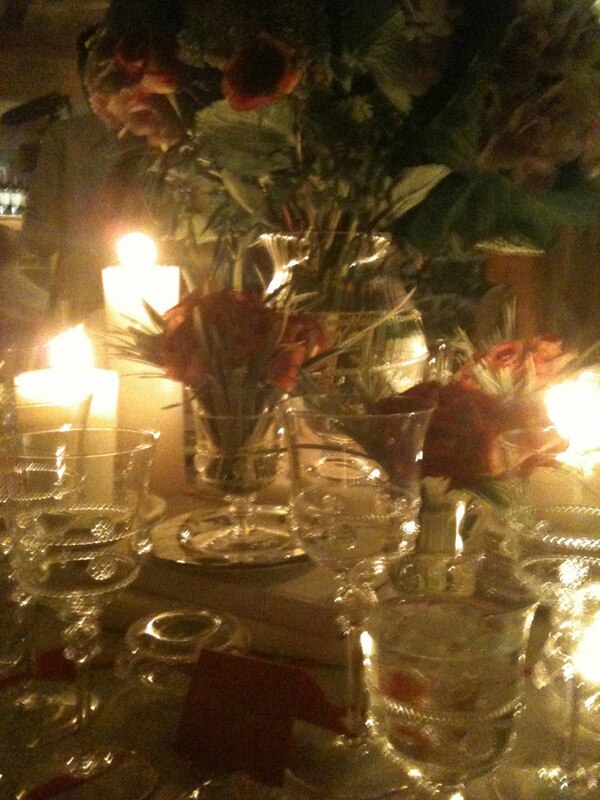 The table settings were to die for, the food and wine perfect, with conversation from all over the country. The stunning table scape was created by the Juliska design team, the setting was the wine cellar at Macelleria in the Meat Packing District. 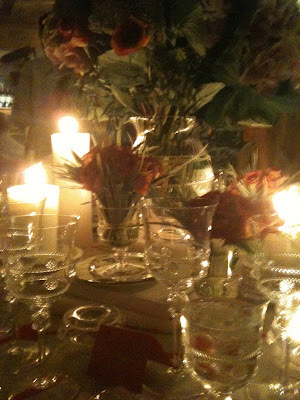 Layers of Juliska's dinnerware .... New Country Estate, Classic Whitewashed Berry and Thread, Pewter Stoneware, lots of candlelight, sparkling Graham Stemware, and large beautiful vessels filled with spectacular flowers...it was breathtaking! A real treat was having the Juliska Design team and designer Deborah Sears shared their inspiration for their new pattern Country Estate, which of course made you want to own it even more.... as you listened to their story and gazed at this totally Timeless and very Cool table setting. I am sorry to tease you with the few photos that do not show you much detail...done intentionally. For total appreciation one must see and touch this incredibly chic collection in person.